Model #: PSW70612NC Click to view the whole line. 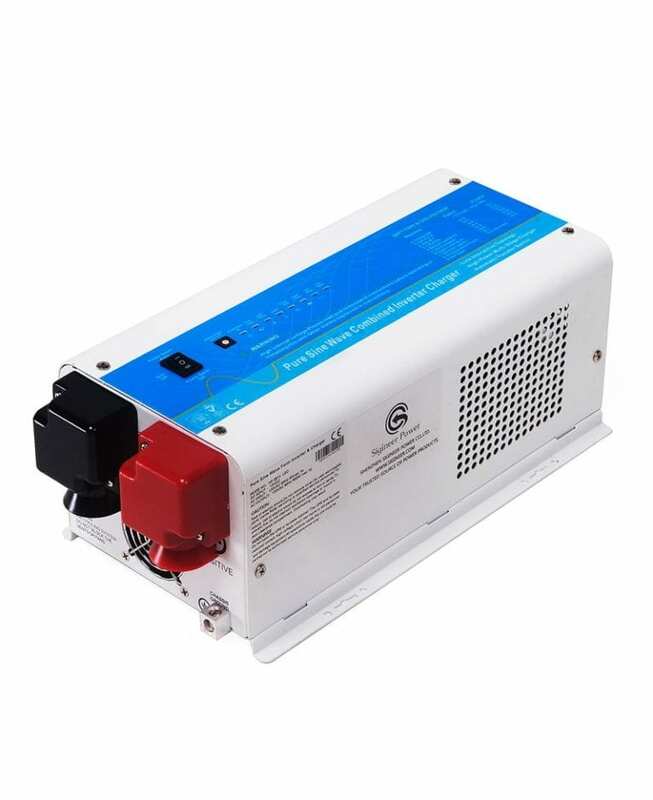 This 600 watt 12 volt pure sine wave inverter charger for sale Philippines is a combination of power inverter , battery charger and AC auto-transfer switch with a peak DC to AC conversion efficiency of 80%. This 600 watt 12 volt pure sine wave HP Mini series inverter charger is a combination of power inverter, battery charger and AC auto-transfer switch with a peak DC to AC conversion efficiency of 80%. The AC output of the inverter charger for sale Philippines is obtained through hardwire connection. Features include overload, short circuit, over-temperature, under & over voltage protections. It is one of the most technically advanced and smart HP mini inverter chargers for sale Philippines on the market today. It features power factor corrected, sophisticated multi-stage charging and pure sine wave output with high surge capability of 1,800 watt (20 seconds) to meet demanding power needs of inductive loads without endangering the equipment. The 25 Amp battery charger comes with 8 different charging algorithms for most mainstream batteries on market, including GEL, Lead Acid, Wet Battery and Lithium Battery, etc. These programmed algorithms monitor the four-stage battery charger from bulk charge to trickle. The build-in 7 Amp Automatic Load Transfer Switch (ATS) is able to bypass the input AC power(shore power or generator) to power up loads when the power inverter Malaysia is charging the battery bank. The transformer time between DC and AC is typically less than 10 milliseconds. The AC/battery priority and auto generator start functionality make the inverter charger for sale Philippines suitable to work in either backup power or renewable energy applications. When set to battery priority mode, the inverter will extract maximum power from external sources and renewable energy systems, with only minimal battery cycles being required, this greatly prolongs battery lifespan. In AC priority mode, when utility AC power cuts off, the load is automatically transferred to the inverter output within 10 milliseconds. Once the qualified AC power is regained, the load is automatically transferred to AC power. With auto generator start, the HP mini power inverter Malasia is also able to command the backup generator to start when the battery voltage goes low. This high efficiency microprocessor controlled HP Mini power inverter Malaysia is suited for Service vehicles,Mobile Offices,Boats, Recreation Vehicles, Camping, Field work / Construction sites,Solar power systems, Emergency backup power, Home electronics: TV, VCR, video games, Computers, printers etc. This 600W 12V inverter charger is available at 100V / 110V / 120V output or 220V/230V/240V output.